It's time for another makeup remover review. If you ladies don't know I still am on the search for a cheaper alternative to my HG makeup remover the Bioderma Sensibio H20 solution micellaire since it's really hard to find here locally. Though I did find it at Digitaltraincase.com, however it's too pricey. Moisturizing eye make-up remover recommended also for contact lens wearers. * does not remove waterproof makeup like mascara and eyeliner. 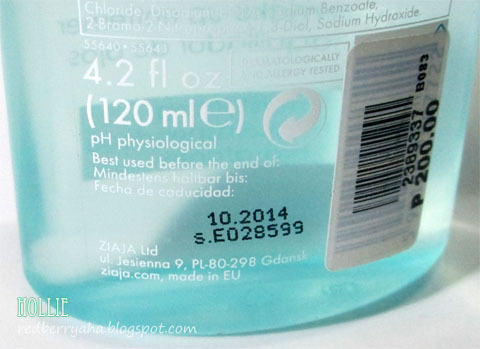 I like the fact that the Ziaja Moisturizing Makeup Remover was formulated for those with sensitive skin, however this is practically useless in terms of removing eye make-up. I would recommend this to those ladies who wears very minimal makeup and does not use mascara. 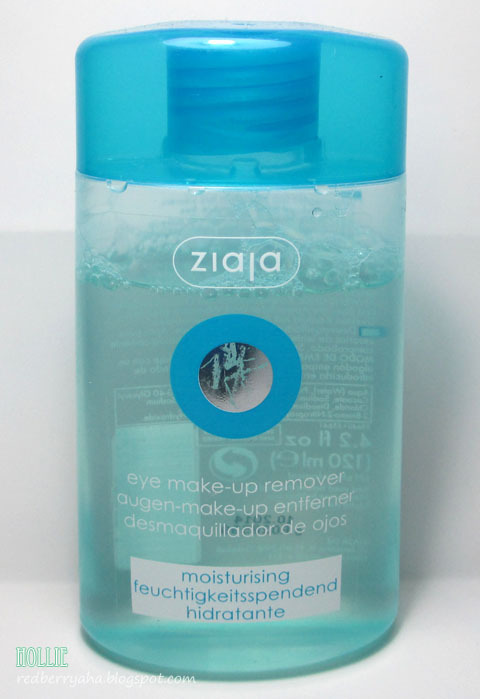 If you are interested in a makeup remover that removes all traces of makeup, you can purchase the Ziaja Duo-Phase Eye Make-up Remover which was specifically made for waterproof formulas, it retails for Php 275.00 at Beauty Bar.